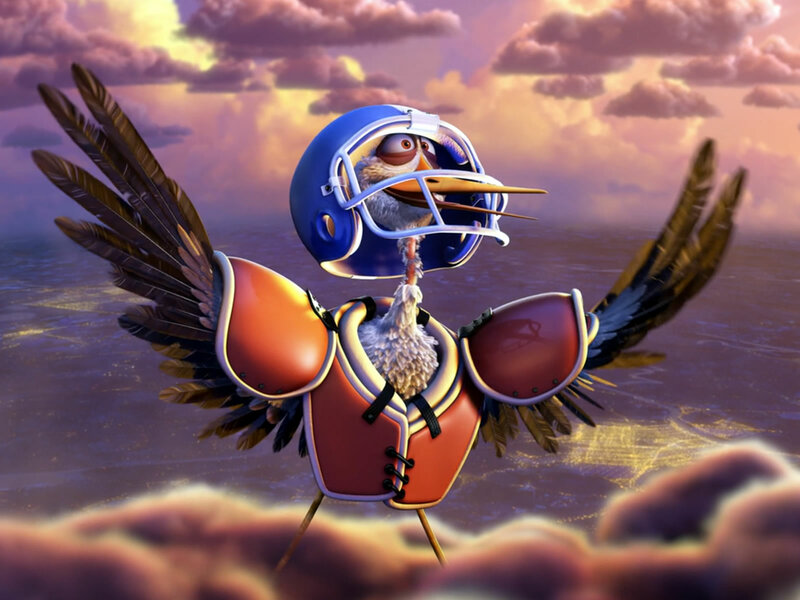 Next up in our Pixar short reviews is called Partly Cloudy. It’s kind of like the beginning of Dumbo but with a funny twist. 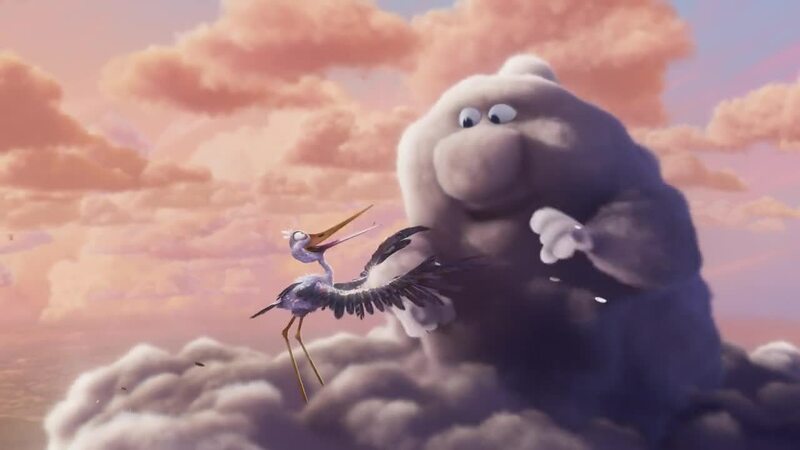 If you don’t remember the beginning of Dumbo we see the storks getting their bundles and delivering them to the anxious mothers of the circus. This is all accompanied by the song “Look out for Mr Stork” . I think it might have been fun to use that song in this Pixar feature as kind of an homage but the music they have is fine. What we don’t see in Dumbo is where the storks get the bundles. 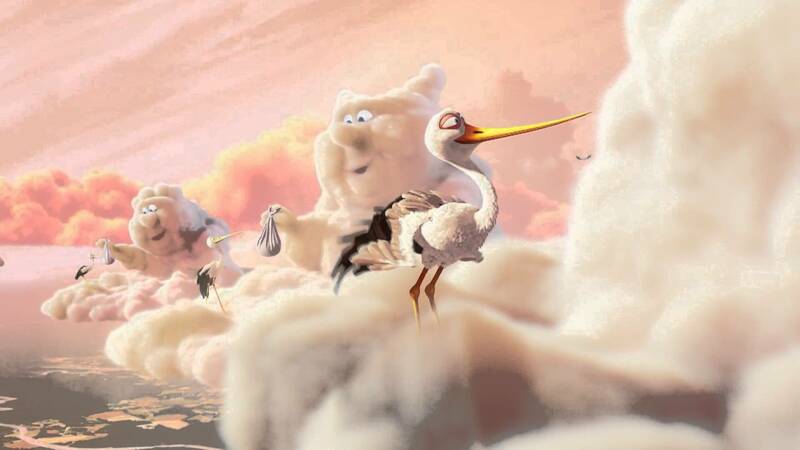 In Partly Cloudy we learn the clouds make the babies and give them to the storks. This is a clever concept but then they take it a step further. What about those less than pleasant animals like porcupines and crocodiles? What poor stork has to deliver those? And what kind of cloud makes such creatures? Well one lonely dark storm cloud is given that job and a stork is assigned the rather painful task of delivering his bundles. We see him kicked by a bighorn sheep, pricked by a porcupine and finally when he is given a shark he puts on protective headgear and body armor! Directed by Peter Sohn who is the voice of Emile in Ratatouille it is a charming Pixar short. He is directing the upcoming Good Dinosaur which watching this short kind of makes me excited for that film. (So many of these Pixar greats including John Lasseter got their feet wet in these shorts). 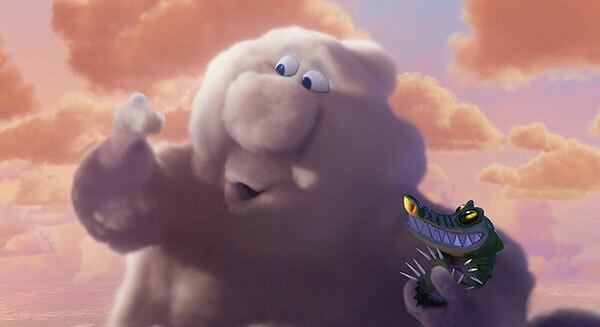 There is a gentleness to Partly Cloudy which I have a hunch will work well with Good Dinosaur. 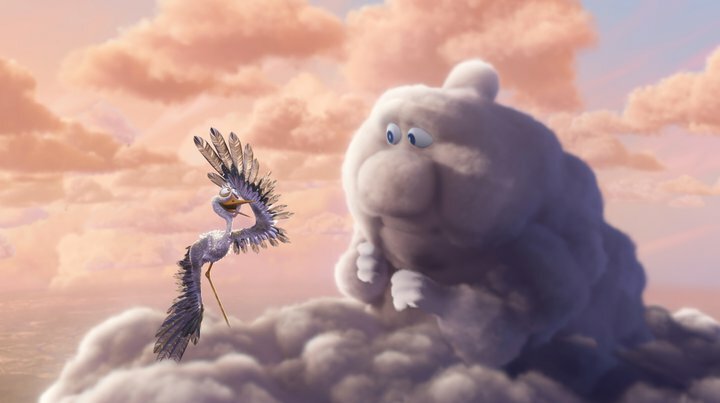 I also really like the music by Michael Giacchino and the fluffy feel of the clouds looks like piles of pillows. In a lot of ways it reminds of Lava which is also very textured and gentle. I wouldn’t say it is one of my favorite of the shorts but that’s only because the other’s are so great it makes for tough competition. It’s lovely and a joy to watch. Next up in the Pixar reviews is Up! Although I am slightly intimidated. How do you adequately write about your favorite movie? I will give it a go! It is my favourite. By far. None other comes even close to it. This one is cute and does make me laugh! I didn’t know it’s the same guy that’s directing the Good Dinosaur, that’s cool to know. I didnt either. It makes me excited for Good Dinosaur!